It’s that time of year, when dark winds susurrate through ancient trees and strange beings stalk in the shadows. I’m talking about Halloween, of course. In between stuffing our faces with way too much candy, we like to huddle together and watch or read the scariest stories we have on the shelf. * Halloween enthusiasts have a long list of classic favorites, both campy and truly horrific. Films like Frankenstein, Alien, and Evil Dead. Books like IT and The Exorcist. These stories are well known, and they certainly deserve attention, but why not try something less well-traveled this year? There are a lot of scary stories out there, and many of them are in places you wouldn’t expect. Some horror stories don’t get the recognition they deserve because they take place in a genre or franchise that isn’t known for being scary. Take these hidden gems for example. Star Trek is better known for it’s vision of an optimistic future and iconic technology than it is for horror. When the franchise tries to be scary, the result is often laughable. Original Series fans will remember the regular-sized cat filmed in front of a tiny door from Catspaw, and those who prefer TNG still cringe a little at that one episode where Troi evolved* into a frog. 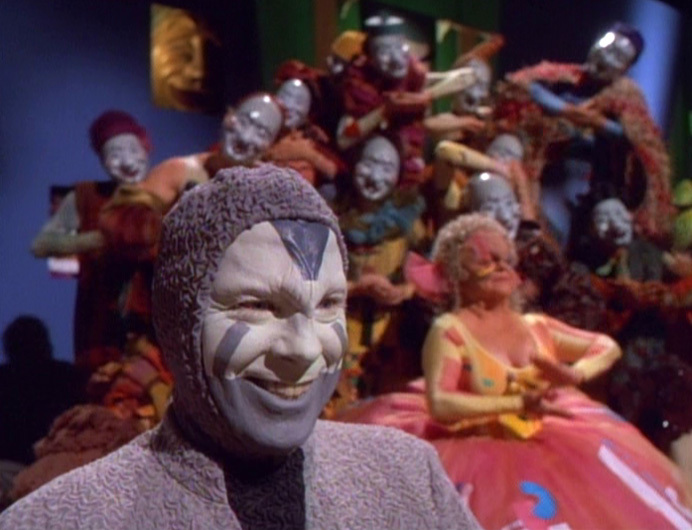 However, there is one Star Trek episode that is abjectly terrifying: The Thaw from Voyager, season two. In the episode, several characters find their way into a simulated reality ruled over by an operatic clown. Head for the hills, for the end of days is upon us! The Thaw delivers its horror in a devastating one-two punch. First, there’s the contrast of a bright and colorful environment with extremely sinister undertones. The extras in this episode were hired from Cirque du Soleil, and their movements are perfectly synchronized with their leader. Then there’s the the Clown himself. Played by the multi-talented Michael McKean, he strikes the perfect balance between jovial and menacing. Not only does he enjoy the terrible things he does to the other characters, he acts like they enjoy it too. Beyond the excellent scare factor, The Thaw is an examination of fear itself. The Clown’s simulated reality is created by the fears of those inhabiting it. This leads the characters to question the nature of their fears. They consider when fear is helpful, cautioning us to stay out of danger, and when it hinders, frightening us into inaction. Without giving any spoilers, the crew’s solution has more to do with human psychology than the technobabble Star Trek is sometimes infamous for. It’s an ending that both chills the soul and lives up to the greatest expectations of philosophical science fiction. Ah, Adventure Time, the whimsical story of a boy and his magical dog exploring a post-apocalyptic landscape and getting up to all kinds of mischief. How could such a lighthearted show have any horror in it? Pretty easily, it turns out. Just like The Thaw, Adventure Time uses the contrast of its brightly colored world and some truly sinister plots to create a wonderful sense of uncanniness. There are a number of episodes that do this, but one of the best is No One Can Hear You. It starts off by disempowering the heroes. Finn’s legs are broken,* severely limiting his physical prowess. Jake gets a head injury so he’s even more scatterbrained than usual. This effectively neutralizes his magic powers. With the main characters deprived of their normal problem-solving abilities, the episode then puts them in an abandoned Candy Kingdom, leaving the audience to wonder where everyone is. 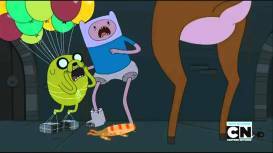 Adventure Time episodes usually feature a lot of characters, so only having the two leads makes things feel subtly off. The voice actors also deserve a lot of credit, bringing real desperation and dementia to the parts of Finn and Jake, respectively. No One Can Hear You has fantastic atmosphere, and it’s remarkable that the show was able to establish it in an 11 minute episode. When the characters finally discover what’s going on, the episode gets even better. There’s no way to discuss it without mad spoilers, so let’s just say it revolves around a character with something they shouldn’t have. Yes, I really mean Discworld, the flat world that rests on the backs of four giant elephants who are standing on a giant turtle. As has been discussed before on this very site, these books are awesome and you should be reading them right now. They cover issues like racial conflict, gun control, industrialization, and many more that I don’t have time to list. But can there really be horror in a world where vampires drink coffee to help kick their blood habit? The novel Thud! is primarily about a brewing conflict between dwarves and trolls, but it has a number of subplots running through it. One of those plots is about the Summoning Dark, a creature from dwarven mythology. Terry Pratchett has a number of darkness-related themes in his books, but this one is by far the most sinister. The Summoning Dark is almost Lovecraftian in nature, an extra-dimensional creature worming its way into our reality. It is invoked in only the most heinous of circumstances, like when a dwarf is betrayed and left to die in the mud. 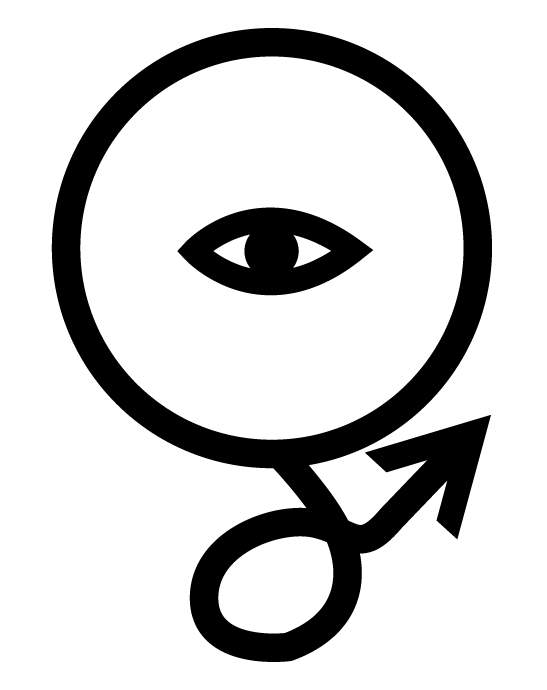 Later in the story, the Summoning Dark undergoes a transformation. It bonds itself to the main character, Sam Vimes, becoming a personification of his unsavory instincts. From its new home, the Summoning Dark urges Vimes on to acts he knows are wrong, but would make his troubles so much easier to deal with. The story transitions seamlessly from cosmic horror to something more personal: the story of one man and his inner demons. 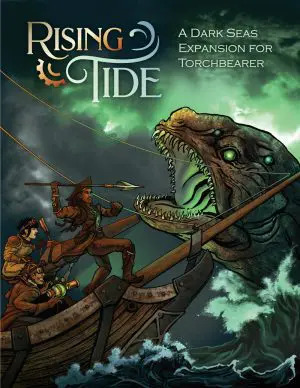 The best part is that it never fully commits to how much of Vimes’ dark desires are a result of the alien presence, and how much was there from the start. Long time Whovians will be completely unsurprised by this final entry, but many on the outside have no idea how frightening this show can be. Since the relaunch in 2005, it’s had some of the scariest episodes on television, even though it’s about an alien who solves most of his problems by shining a blue light on them. Doctor Who, along with most of British television, tends to have a lower budget than American shows. Looking at the cheesy alien costumes, it’s difficult to see how they could be scary. However, those budget limitations are often what makes the episode terrifying. The creators have less to work with, so they have to get creative. Consider The Empty Child. 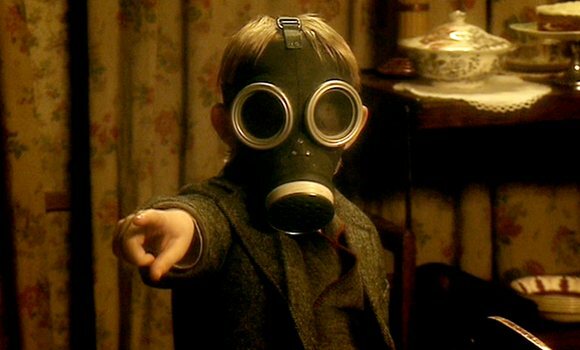 The ‘monsters’ in this episode are extras, mostly children, wearing gas masks. That’s an inexpensive costume, and it’s chilling to watch. 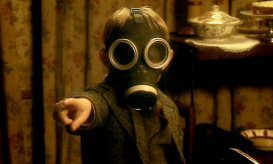 Gas masks are pretty scary on their own, and with a little makeup to make them appear merged to the wearer’s skull, the effect is amplified. The writing is also top notch, using a child’s repeated call for their mother to horrify the audience. Another episode, Midnight, takes place inside a mundane tour bus on a resort planet. The episode uses sound effects, some flood lights, and great acting to create a truly horrifying hour of television. There’s also the ever famous Blink, making us afraid of statues since 2007. All of these episodes used the adage less is more, and they did so to great effect. Rather than trying to dazzle the audience with expensive effects, they let the audience use their imagination to fill in the terrifying gaps. Doctor Who’s horror episodes teach us all an important lesson: anything can be scary. No matter how familiar or comforting something might be, a clever artist can turn it into a nightmare. 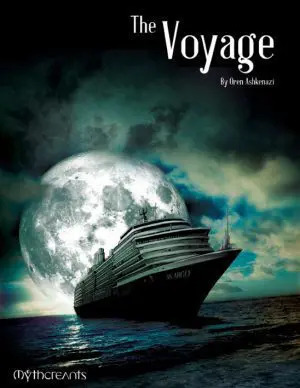 Whether it’s an adorable cartoon series or a classic of forward-thinking science fiction, horror stories are lurking where you least expect them. While the classics will always hold a special place in our hearts, it’s important branch out from time to time. Have a look in that shadowy corner. What’s the worst thing that could happen? Or on the streaming, or whatever the kids are using these days. Complete with comically oversized casts. “Midnight” is one of the few Doctor Who episodes that I cannot watch. Without giving spoilers, it focuses on human psychology. The aspects of human psychology explored in the episode are some of my worst fears, as I learned when I watched it. I’m glad to know what my fears are, though; with an anxiety disorder, I find it important to sort out what the underlying fear is — mostly so I can take a closer look on how realistic it is, of course, but also so I can use those fears as a writer more effectively. For me, the trick is to explore these things enough to understand myself and my characters better, while also taking it slowly/easy enough that I don’t freak myself out into immobility or other destructive behaviors. Time to read more Lovecraft. 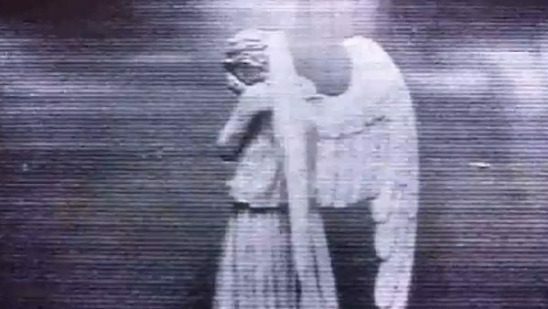 Well, as scary as people may find “Blink”, in my opinion, it still doesn’t match the next episodes with the Weeping Angels – “The Time of Angels” and “Flesh and Stone”. I am not easily frightened or spooked, but those two episodes had me afraid of the dark for a couple of days. And I normally love darkness. So yeah, those episodes were the ones to make me fear the Weeping Angels.